After All The Waiting Game, It's Finally Here! It was on 23rd August 2017, almost two years after the launch of the Galaxy Note 5 that the Galaxy Note 8 launched. While the Samsung Galaxy Note 7 did make a debut, the company, for a faulty battery, recalled the Note 7. 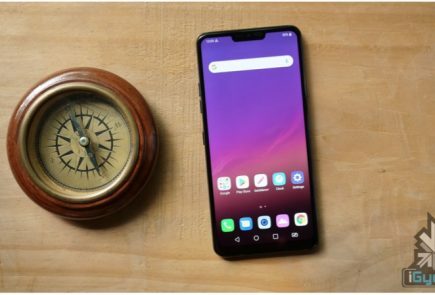 Despite the fact, the South Korean electronics still leads the smartphone market in 2018. 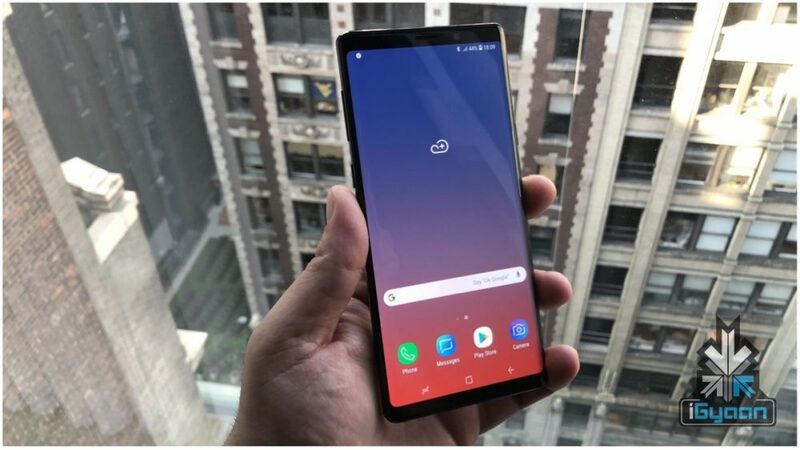 At an event in New York, Samsung has launched the new Note series smartphone, the Samsung Galaxy Note 9. Sharing the same design as the Note 8, the Samsung Galaxy Note 9 features a glass front and back and an AMOLED display. The smooth chamfered edges and the long aspect ratio are also the same as the last Note smartphone. 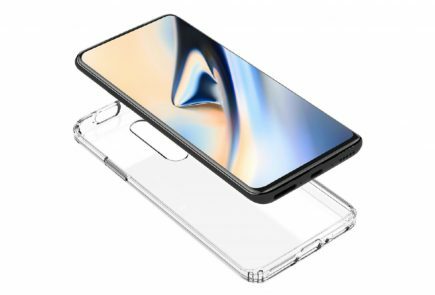 The Super AMOLED panel is 6.4-inch 2960 x 1440 px 18.5:9 aspect ratio display. The front and rear panels of the Galaxy Note 9 use the Corning Gorilla Glass 5 for protection. The smartphone houses the rear-mounted fingerprint sensor, right below the camera module. Previously, the fingerprint sat to the right of the camera module on the Note 8. Samsung is big on AI this year, as are many other companies as well. 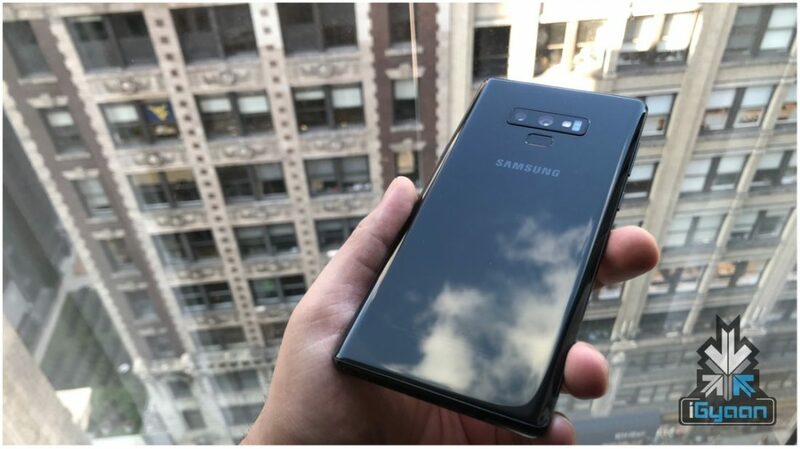 However, Samsung claims that it is almost “impossible to take a bad photo” with the Galaxy Note 9’s camera. The AI assisted module on the Note 9 is a triple camera setup with two at the rear and one at the front. The primary camera has a wide-angle 12MP lens with a f/1.7 aperture and the secondary camera has a 12MP telephoto lens with a f/2.4 aperture. The rear camera is capable of taking slow-motion 30fps videos at 720p resolution. While the secondary camera is an 8MP sensor with f/1.7 aperture. The Samsung Galaxy Note 9 runs Android 8.0 (Oreo) with Samsung Experience 9.5 UI on top. 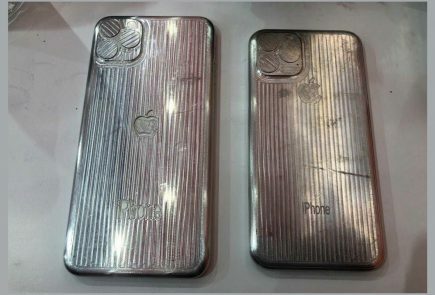 The smartphone has two chipset variants, one for the US & Canada and the other for Europe, the Middle East, and Africa. The US and Canadian variants will use the Qualcomm Snapdragon 845 chipset and the Adreno 630 GPU for graphical performance. 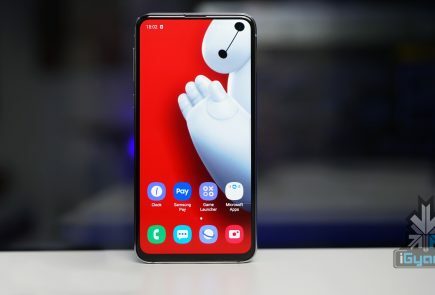 For the EMEA variant, the smartphone will use Samsung’s own Exynos 9810 chipset. For graphical performance, the Exynos chipset will use the Mali-G72 MP18 GPU. Both the Qualcomm and Exynos chipsets are octa-core processors. The S-Pen has been in the Note family since the first Galaxy Note released in 2011. The S-Pen is a Samsung proprietary stylus which the company provides with both the Note and the Tab series. What makes the new S-Pen standout is its improved functionalities and Bluetooth connectivity. The S-Pen is now usable as a camera shutter trigger, making it easier to take photos and especially selfies. The S-Pen SDK will soon be available for developers to build their app around the stylus and integrate it seamlessly with their apps. The Samsung Galaxy Note 9 will be available starting from August 24th, in major markets including US, Europe, Australia, New Zealand and in India. The base price for the Galaxy Note 9 starts at £899 (Rs. 79,534.53 approx) for the 128GB variant. The 512GB variant will cost £1,099 (Rs. 97,206.07 approx). Once the device is available globally we will provide our in-depth review of the smartphone, so stay tuned. Meanwhile, take a look at the official images of the Note 9 directly from the launch. Have something to add? Leave a Comment Below!